When you see or hear the words "water feature" what comes to mind? Maybe you envision a huge ornate reflecting pool with synchronized jets spraying in different directions, or maybe you think of a small fountain that spouts water, possibly you think of backyard pond, really the possibilities are endless. I say endless because the imagination is what creates these works of art. 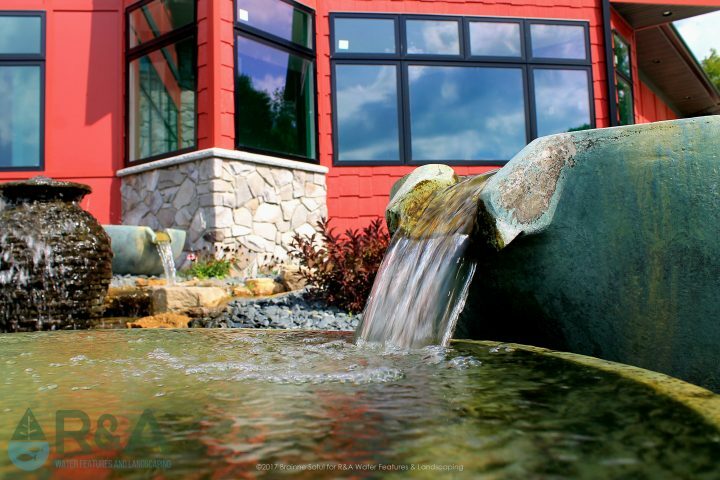 Now a water feature is technically any indoor or outdoor decor that incorporates water, taste and craftsmanship. However, that is based on personal opinion. 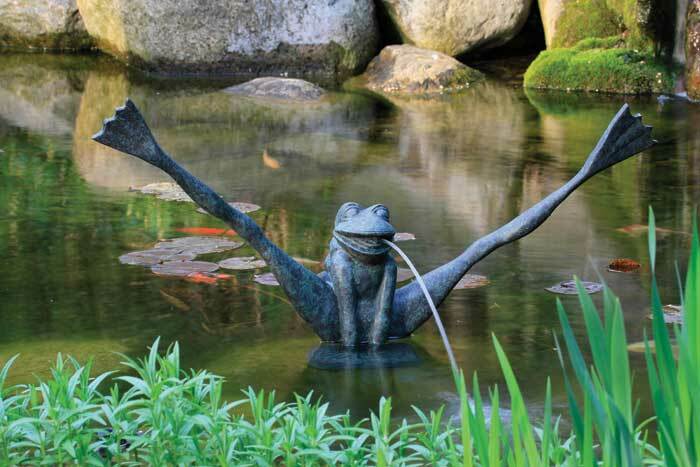 The basic 'categories', if you will, of water features consist of a hand full of different styles. Fountains may be one area of water features that offers the biggest selection and variation. Most are smaller, fitting perfectly into many spaces, while others may be quite large; like at Grant Park in Chicago. 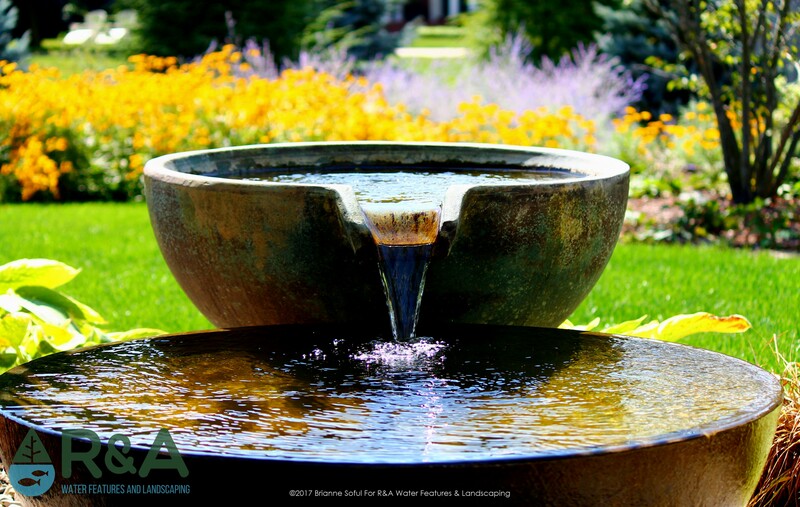 The variation in fountains is massive, there are 3-tiered classic fountains you may see at many large estates, there are smaller single basalt columns, medium sized spillway bowls, medium to large size stacked slate urns...fountains that incorporate fire...the possibilities are vast! These types of water features use spouts or sometimes taps, to project arcs of water. Which provides a very classic look reminiscent of the Greeks and Romans, it alludes elegance and sophistication. You may see these in large bodies of water, like at the Bellagio in Las Vegas, as a stand alone feature, or incorporated into a pool or a pond. 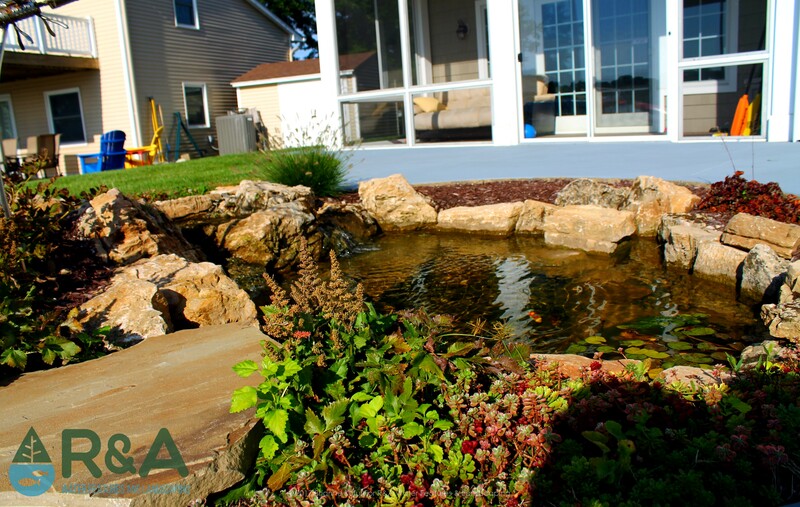 Pondless waterfalls are a great option for those with a bit of space, but not enough for a full pond, or those that aren't quite sure if a pond is for them. 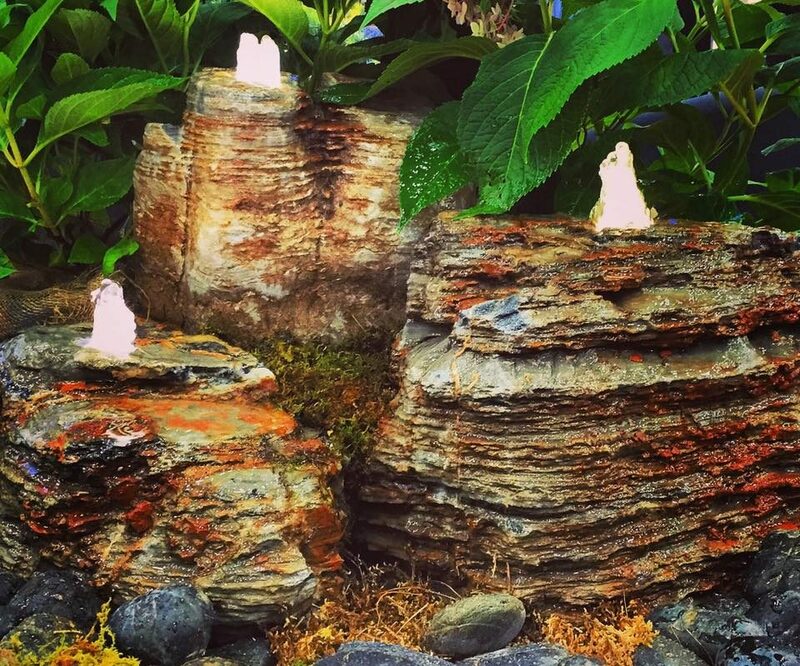 Kids LOVE pondless waterfalls...you really can't go wrong with this option! A backyard pond can be a very soothing place to relax at the end of a long day, or to spend time with friends and family. A pond can be very large or it can be small, depending on your preference and the size of your property. The great thing about a pond is that you can add fish to them, and enjoy them for years to come. One tip we have heard from pond owners; they wish they would have initially gone bigger with their pond. Keep that in mind when deciding on a size for your pond! 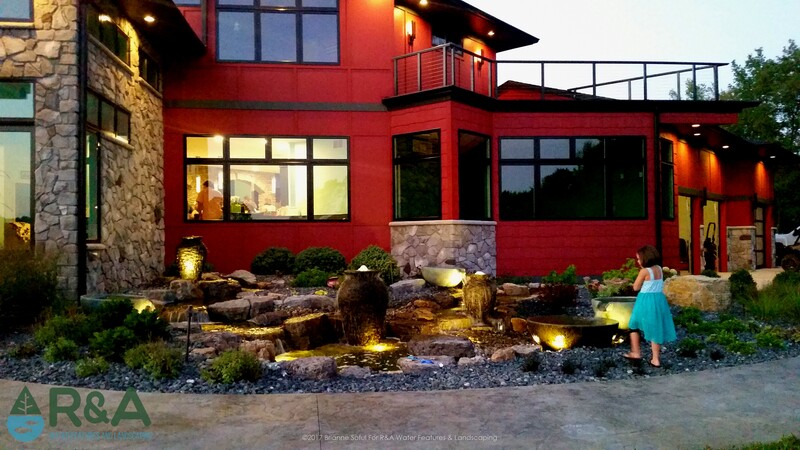 When you're ready to add a water feature to your landscape, be sure to give us a call, we can help turn your outdoor living dreams into reality! Be sure to follow us on Pinterest and Facebook for new ideas and inspiration. You can also check out our Houzz page, featuring recent projects and client reviews. Contact us today to get started on your next outdoor living project!